It's a Scottish thing, I know - this fear of 'blowing your own trumpet.' 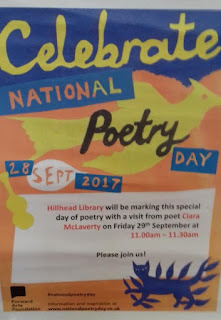 Hence, when this poster describes me as, 'poet, Ciara MacLaverty,' I still think, who me? Surely, you mean some one else like Jackie Kay, Liz Lochhead or Wendy Cope? But Readers, I gotta grab the wheel and own it! Drive it like I stole it! (Sing Street, by the way). 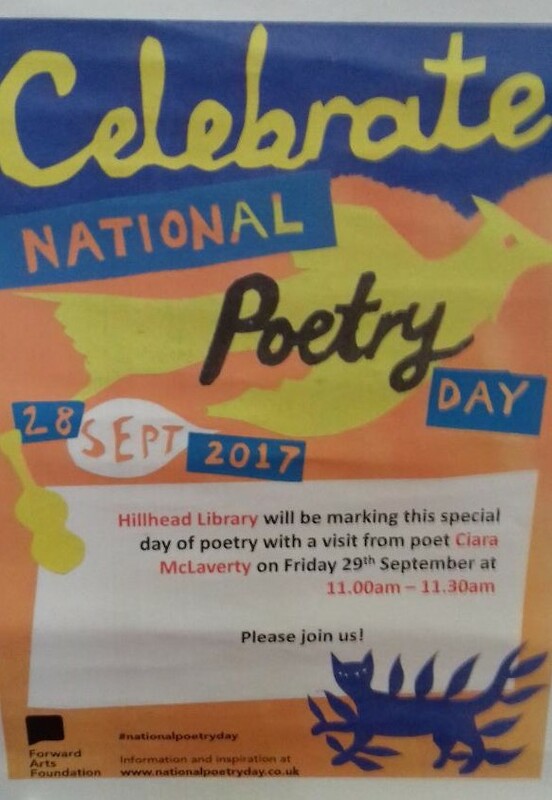 I'll also be at Hillhead library on this Friday 28th for poetry and cake at the Macmillan charity coffee morning. Don't be shy.